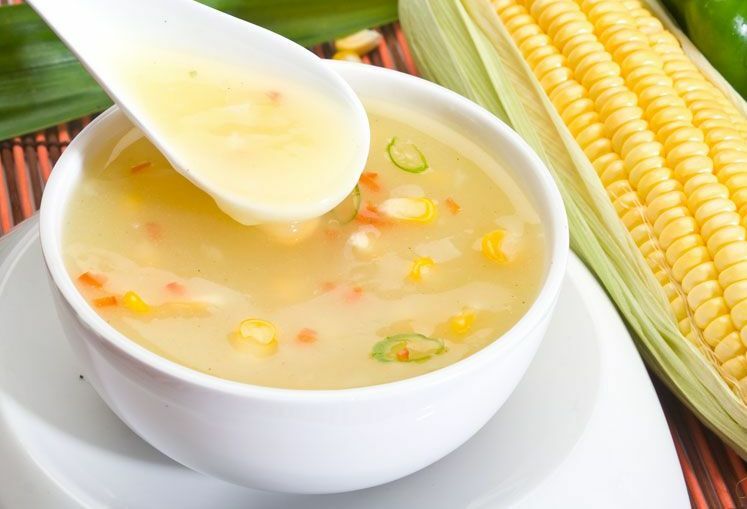 Soups have often been considered as complete food and not just an appetizer as many lovers of flavors may have mistaken their taste buds to believe. Have you even wondered why soups of various recipes and infinite different ingredients are served in the times of sickness when body needs energy to fight back the diseases while the gastrointestinal system is not at its best to handle complex foods? In very simple words, soups are therapeutic in nature. Basically, they bring out the best of the ingredients that go into them and make them completely compatible with the environment of your GI system. So can depend upon soups while nursing yourself back into health, while voluntarily giving your gut a break for good or even when you are in the process of shedding the few extra pounds that you may have piled up when you were not watching. 1) Simple Spinach Soup – All you need to spinach, vegetables of your choice, pepper, 2 tablespoons of olive oil, a dash of garlic and onions and you are ready to go. Boil the spinach and veggies and puree them. Heat oil in a pan and add the garlic and onions. Now throw in the pureed spinach and vegetables add 2 cups of water and bring to a boil. Add salt preferably low in sodium, for taste. As the soup reaches a thickness of your choice, bring it off the stove and add ground pepper. Include it in your lunch or dinner or simply snack on it for an iron rich, vitamin packed nutritious low calorie food. 2) Easy Chicken Soup – The soup is just as easy as the ingredients. It is chicken, water, olive oil and an assortment of vegetables of your choice. Spices like garlic and cloves can be added, which you can add crunch with some fresh and sweet onions. Shred the chicken; boil it as well the veggies till tender. Heat oil in a pan and add garlic and onions to it along with cloves and pour in the boiled ingredients with stock. Add salt to taste and you are ready with a protein packed weight loss miracle. 3) Assorted Vegetable Detox Soup – This is easy, highly nutritious and as tasty as you want it to be. You can choose highly nutritious vegetables like carrots, tomatoes, celery, leeks and kale if you have it close at hand. You can add pepper and lemon juice for the much desired detox effect and a hint of low sodium salt for taste. If you wish to turn to soups to lose weight, you will have to adhere to certain parameters to serve the cause. For example, you will consciously have to keep ingredients like butter, cream etc out of your recipe.